Motorcycles have been a feature of our roads for well over a hundred years. During that time they have served as a functional mode of transport, an economical alternative to the car, a workhorse and even a lifestyle icon. Their popularity has risen and fallen in concert with a number of diverse social and economic factors. Sustained interest in motorcycling throws the advantages and disadvantages of motorcycling into sharp relief – the most obvious of the latter being safety. Although there have been several improvements to casualty rates over the last decade, riders are roughly 35 times more likely to be killed and over 50 times more likely to be seriously injured in a reported road collision than car occupants. However, it is important to remember that the functions and benefits presented by the motorcycle for over a century are still valid and valuable. A vulnerable mode of transport is not the same as being an undesirable one. 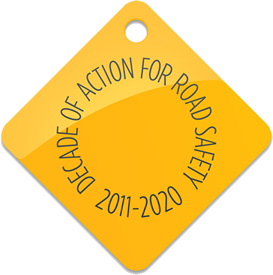 In 2005 the Institute of Highways Engineers produced a set of award-winning guidelines for highways engineers and road safety professionals to encourage greater awareness of the needs of powered two-wheelers and effective interventions to improve safety. This updated version of those guidelines reflects changes in policy and advances in technology and knowledge. Motorcycles have long provided a legitimate, cost ­effective and relatively low-polluting form of transport for commuting, work or leisure purposes. However, their riders are susceptible to serious injury even in low-speed collisions. Policy makers, planners, road designers and maintenance engineers have sometimes overlooked their specific safety needs. Raising awareness of those requirements among the relevant professionals is crucial and these Guidelines are a step in that direction. Road designers and traffic engineers need to understand how some design features, benign to other road users, can present a particular hazard to motorcyclists. It is important to keep exploring new ideas and trialling initiatives, despite any perceived controversy. For example, in 2012 Transport for London granted motorcyclists permanent access to bus lanes on the majority of the city’s red routes in what may, at the time, have been perceived as a bold move. Traffic calming measures can be very effective in reducing the number of injury collisions, especially in residential areas. Motorcyclists are no more exempt from the intended effects of traffic calming than any other road user and, arguably, suffer disproportionately from the unintended effects. Such unintended effects can seriously compromise safety. Road safety campaigns are a vital component to improving the safety record of motorcyclists. Attitudes play a major role in determining rider behaviour, irrespective of age or trip purpose. Measures designed to influence behaviour must address these attitudes and take account of the spirit and individuality often expressed in choosing a motorcycle as one’s mode of travel. Riders respond better to messages that relate to their own perspective and are likely to ignore general “must do” or “must not do” messages. A Travel Plan is an access strategy used to manage multi­modal access to the workplace. It encourages modal shift from single-occupancy private cars by improving alternative travel options and promoting wider use of sustainable transport. Incentives and disincentives to persuade and support people to use alternative commuter modes can often achieve this. Motorcycles are an affordable alternative mode of transport where public transport provision is weak or non-­existent and where distances make walking and cycling unrealistic. Consequently, motorcycling should be a common feature of all Travel Plans. Parking provision is an important tool in local transport policies as well as traffic management and crime reduction. It is also essential for any motorcycle user. Motorcycle parking can be provided on-street or off-street, in surface or multi-storey parking and by commercial site operators, local authorities, employers, retailers and colleges. Statutory obligations aside, good highway and traffic engineering practice separates safety auditing and user auditing. The latter focuses on improving infrastructure provision for sustainable modes in order to encourage modal shift. However, it is good practice for safety auditors to take a multi-­modal approach to the process, giving special attention to safety implications for vulnerable road users such as equestrians, cyclists and pedestrians. Motorcyclists sometimes have a lower profile in this ‘vulnerable user’ category because their higher speeds may lead auditors to push them into the same group as twin-track motor vehicles. This is a serious misunderstanding. The dynamics of motorcycles and vulnerability of their riders make motorcycling a unique mode within the traffic mix which requires separate and informed consideration by designers and auditors.